24" SCH 40 Carbon Steel ASTM A106 Gr. B Seamless Pipe, in all major grades and sizes. Aesteiron Steel Pipes supplies the most common grades of carbon steel pipes and tubes including ASTM A333 Gr. 6, A106 Gr. B, ASTM A53, API 5L with Mill Certificate & third Party Inspection certificate. Carbon steel seamless pipes are stocked in size range of 1/2” NB through 36”, while welded carbon steel pipes are also available in higher sizes. 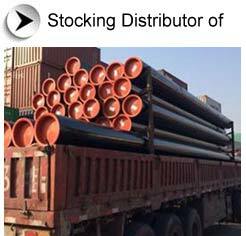 Aesteiron Steel Pipes offers high quality carbon steel pipes from Approved manufacturers of 24" SCH 40 Carbon Steel ASTM A106 Gr. B Seamless Pipe, This Pipe is suitable for bending,flanging,welding and for similar forming operations.